DOU-LIOU STADIUM. Japan has improved to 2-0 in the XXVI 18U Baseball World Cup with an 11-0 shutout over Mexico. On Monday morning they scored four runs in the first two innings and seven more in the sixth and seventh to seal the deal. They are now 2-0 in the tournament, while Mexico dropped to 0-2. 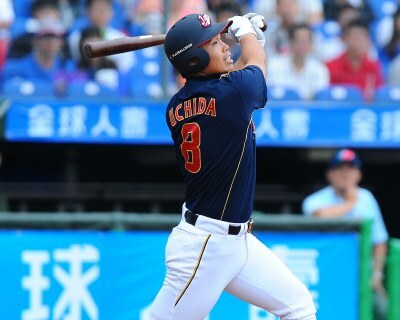 Yuto Yoshida went 2-for-3 with three runs and two RBI. Ryuma Mori scored three times. Tomoya Mori drove in three. On the mound Harumi Iida followed in the footsteps of Yuki Matsui’s performance from Sunday and conceded just four hits in seven scoreless innings. He struck out four. Mexico looked flat in the morning game after their tough loss to Venezuela on late Sunday evening at Taichung City Stadium. They managed just four hits by David Avila, Mario Perez, Renato Meza and Javier Erro in the game. Mario Rodriguez got charged with four hits, four runs (2 ER) and two walks in 1 1/3 innings, taking the loss. Both teams will have a quick turnaround. Japan is playing another COPABE opponent with Venezuela in the evening at Dou-Liou Stadium. Mexico takes on the Czech Republic hoping for its first win at Taichung City Stadium.